My office has now been painted and so I am starting to move stuff back into it. No Future was selected largely because it was the last book I moved. I have to say I think it is one of the weakest New Adventure covers not that I'm any kind of an art critic. The figures don't seem quite in proportion somehow. What I assume are supposed to be spikey punk haircuts actually look rather fuzzy. The muted grey and yellow colour scheme seems like an odd choice for a punk vibe as well, though it's not helped by the bright red of the logo and title stuck on top of it. You can tell it's Leela because she's holding a knife! From the Doctor Who story Flashback from the 1979 annual. Sometimes I see a DWM cover and wonder about the chain of reasoning that made someone think this, of all the images available, was the one most likely to make some random member of the general public pick the magazine up off the stand. Then I'm slightly charmed that either someone thought this, or someone felt that the cover image need only appeal to die hard fans. Paul Cornell has been talking through his experience as a Doctor Who writer one gig at a time in his weekly news letter, in a surprisingly frank fashion. Despite being a member of rec.arts.drwho in the 1990s, a position from which it felt rather as if one had a ring side seat on what certain Dr Who authors were doing, it transpires I was relatively unaware of much that was happening behind the scenes. That said, I imagine there is still much he is missing out. He's just reached the first of his novels for the BBC books so it feels fitting to post the cover of the last of this Dr Who New Adventures (though he wrote the first Benny novel in between). Happy Endings is a funny book. When the Dr Who Book Club read it they noted that it was almost impossible to understand without a fairly encyclopaedic knowledge of what had gone before. It's about Benny's wedding to Jason Kane, a romance I was never all that fond of, though its major crime (like much of the New Adventures, frankly) is inconsistent character development across books. You can sign up for Paul's newletters from his website though I should note that this week's newsletter is somewhat atypical since it is dominated by a recent family bereavement (consider this also a content warning). Lost in Time DVD Cover - though not my one which has various logos superimposed on it. 2. Indicator Lights (the function of each one is detailed). 3. Course acceptance Unit. As I understand matters this is some kind of check on whether you've inputed correct destination coordinates. 4. Safety Precaution Switch. An invention of the Doctor's (no less) this stops the Tardis landing anywhere it might get destroyed. I find the concept that a) this does not come as standard in Tardises and b) that it apparently has to be activated after every take off somewhat alarming. 6. The Stasis Switch. I confess I have no understanding of the text accompanying this. 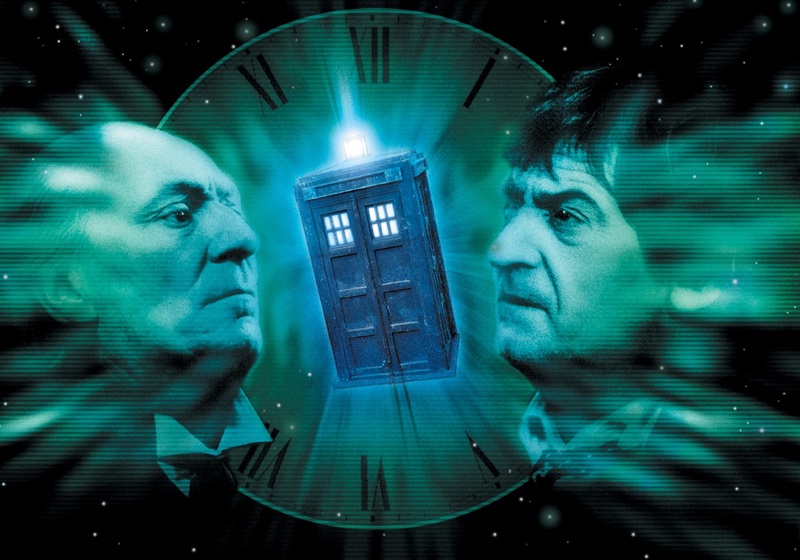 It seems to have something to do with the idea that the Tardis doesn't dematerialise if only travelling in time - but why you need a switch for that is beyond me. 7. Materialization Switch. Yes, another one. It is not clear what happens if you activate one and not the other. 8. Auto-Log indicator. Lights up if the auto-log has overriden the Navigational Instruments apparently. 9. Navigational Control. Allows you to program coordinates in binary (which rather suggests there are only 128 locations in the whole of time and space). As for Panels 2 to 6... well I may post them sometime. The 1973 Dr Who annual has these rather nice montage artworks at the start of several stories. The woman with green (though it was probably intended to be blonde hair is almost certainly meant to be Jo Grant. It wasn't exactly unusual for companions to look nothing like the actresses that played them in the Dr Who annuals since, as I understand matters, the artists often had no reference material to work from. However I do not believe this to have been the case in 1973.